Scales Corporation Ltd specialises in supply chain services for primary exporters, importers and FMCG organisations. 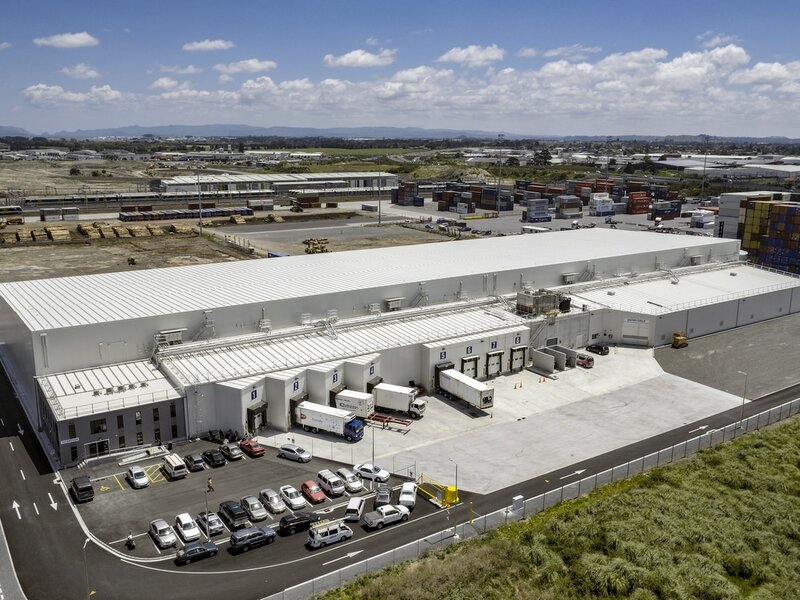 It operates two cold storage businesses – Polarcold Stores and Whakatu Coldstores. Between them they operate 21 sites and refrigeration is by far the largest energy cost. Most of the sites use ammonia as a refrigerant, distributed from a central plant room to fan coil units in the cold stores. Based on the products each store holds, temperature parameters vary considerably. Over the past year six of the 21 sites have been equipped with Quasar Control Industrial (QCI) – a powerful energy monitoring and control software solution developed by Christchurch’s Quasar Systems. The technology is being rolled out progressively to the remaining stores. In essence, says Graham Klein, Engineering Manager at Scales Corporation, “QCI monitors the energy consumption at each of the stores and, based on temperature parameters I’ve set, turns the fans and compressors on and off as required. One of the technology’s most appealing features, he adds, is its simple interface. “It’s given me the ability to manage and control energy consumption at our sites without specialist programming knowledge. In particular, I like the easy-to-understand, real-time dashboards and the historical reporting tools. These reflect the real savings – at a glance – in both kilowatt-hours and dollars. The savings are measured off electricity meters, so they’re an accurate indicator of the technology’s success. “From a management perspective, I now have an instant overview of how the six sites are performing – at any time of the day. I receive detailed graphs and reports – generated automatically on a daily/weekly/monthly basis – via email. I used to spend hours getting my energy data collated each month – I now have a summary every Monday before I get to work.” Equally appealing, he adds, is the multi-site KPI reporting offered by the technology. The obvious one, says Graham, is the 11% fall in energy consumption – largely due to flattening the load profile and reducing peak demand charges, shifting the energy load to cheaper periods and shedding unnecessary load. “Because savings are reported as dollars as well as kilowatt-hours, energy management’s become a tangible concept for non-technical staff. We now have real-time visibility about how the changes we make affect our energy use. The system effectively acts as a data-logger – it’s like having a metering package and SCADA rolled into one. QCI is designed for controlling refrigeration, heating, air-conditioning and water pumping systems. It can be applied to any industry where devices can be turned off for periods of time. The software will automatically shed selected loads to avoid high-tariff periods, restore loads in low-tariff periods and cap demand to minimise peak demand charges. QCI can be integrated into existing systems, but can also operate as a standalone solution.